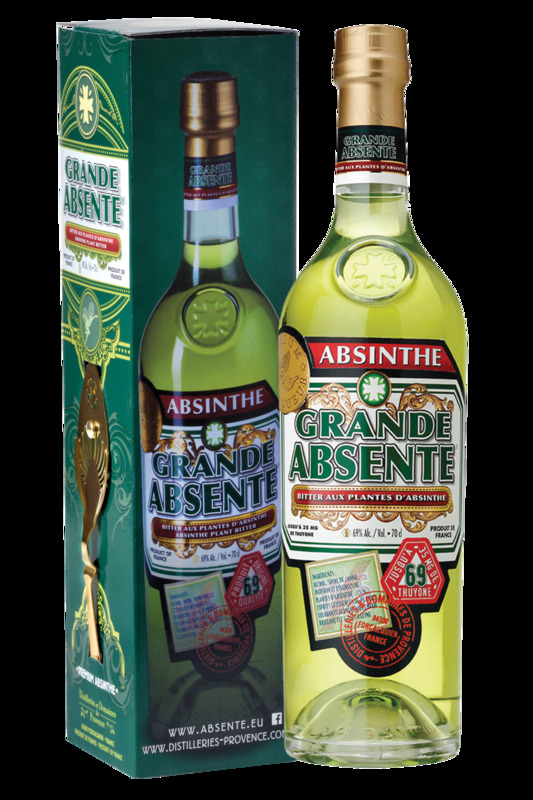 Distilleries et Domaines de Provence | Grande Absente Absinthe | Real Absinthe | French Absinthe — Emporia Brands Ltd. Enter into a history packed with taste, the history of a distillery which has inherited ancestral traditions but certainly knows how to move with the times. Distilleries et Domaines de Provence selected the location of Forcalquier, the capital of flavours and fragrances, where it has remained to this day. In the heart of rural Provence, in an authentic setting between mountains and scrublands, it lovingly rewrites the recipes for its Aperitifs and Spirits. No need to wonder where this subtle blend of many flavours originates. It comes from one of the most fragrant regions of France, where expertly selected ingredients are combined to make products worthy of the “Made in Provence” label. Matching the original traditional recipes, with more absinthe, less sugar. All eyes will be instantly captivated thanks to its clear and shiny light green colour with yellow undertones. Absinthe infusions and essences, mugwort and star anise, aniseed alcohol, balm and mints lend Grande Absente its special bitter flavour. It has the unique taste of absinthe. Palate: A powerful attack due to the presence of absinthe, then the structured development leaves room for a fresh and spiced final note that gives the product its lingering taste.